There is a lot of talk about blockchain, these days. This makes us wonder what is this disruptive technology all about? No matter how much you read up on it, it still seems rather complex to some of us. 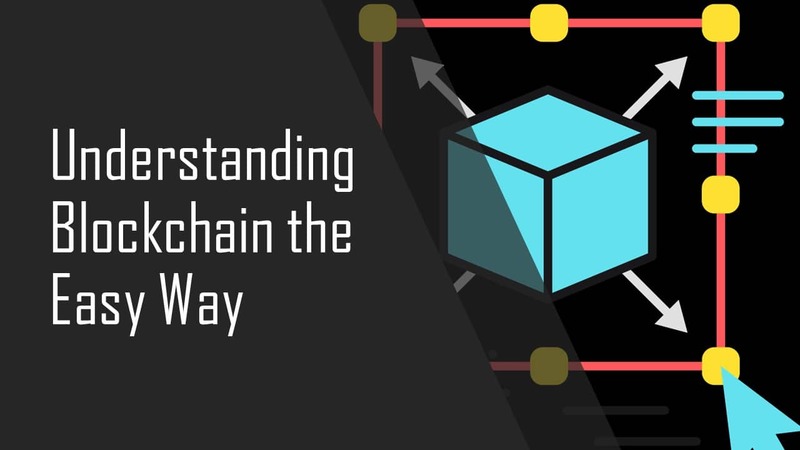 This post looks at understanding blockchain the easy way. Analogies help manifold. So, that is what we are going to use. I am going to quote, William Mougayar here, who helped put blockchain in a very simple manner. He used the example of Google Docs to help understand how blockchain works. -William Mougayer, 4x entrepreneur, venture advisor, marketer, blockchain specialist. Blockchain enables digital data to be distributed across a network of nodes, where this data/transaction is validated individually at each node. This particular piece of data or transaction is irreversible. Since it is available across locations, means that the data is not centralized and as such very much public. This makes blockchain a rather secure technology. The information stored at various nodes in a network makes it difficult for a hacker to hack it. Hackers generally go for centralized information, as corrupting a single location is an easy task. But accessing and corrupting multiple locations/nodes to simply corrupt one transaction does not make a lot of sense. It would also require a mammoth computing power to corrupt all the nodes in the network. Although hacking into the entire system might seem like a possibility, but it is only so in theory and not in real life. If not impossible, it is pretty unlikely. Although you really don’t need to known how blockchain works in order to actually use the technology, but it is always good to know. Think of a document that has been distributed throughout the network. Each time the information in this document is updated the changes are made across all the nodes that possess the document. Each change is validated and verified using known algorithms. This network-wide update makes the change irreversible. The earlier versions are still available to the people who are accessing it for their reference. Where does blockchain derive its name from? Blockchain, earlier known as block chain, is as the name indicates a chain made of a number of blocks. Each block contains a number of transactions, each of which is verified by the different nodes across the network. The different blocks together form a ledger, which is nothing but a group of transactions which have been verified and stored. Each new block that is created is then added to the already existing chain, thereby creating a blockchain. How does the node system work? The different nodes across the network for a decentralized system of storing information. The nodes are connected through a Peer-2-Peer network. Each time there is a transaction, it is broadcast on this network. The nodes works in tandem to verify the transaction using known algorithms. Once verified, the transaction is added to other existing transactions to create a block. Once this new block is added to the existing chain, the transaction is complete, permanent, and unalterable. Watch this space for more information and news on blockchain, its uses, and what makes it so disruptive.